Please click here to sell your Alson Skinner Clark painting or receive a free art evaluation of your piece. Click to review some of the paintings we've recently purchased by Alson Skinner Clark. Born in Chicago, IL on March 25, 1876. At age 11 Clark enrolled at the AIC, continued in NYC at the ASL and with Wm M. Chase and Frank Duveneck. Late in 1898 he went to Paris for further study at Acad�mie Carmen under Whistler. Returning to the U.S. in 1901, he established a studio in Watertown, NY and then returned to Chicago where in 1903 sales in a successful exhibition allowed for travel in Canada and Europe. 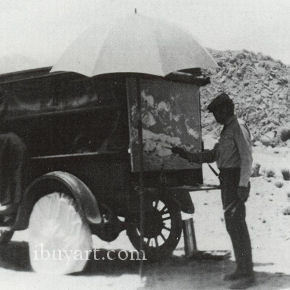 After serving as an aerial photographer in WWI, he settled in southern California where in 1922 he and Guy Rose formed the teaching faculty of Pasadena's Stickney Art School. During this period he also had a studio in Palm Springs. He taught landscape classes at Occidental College in Eagle Rock in the late 1930s. Clark died of a heart attack in Pasadena on March 22, 1949. One of southern California's most renowned painters, his early portraits and figure studies evince the somber tonalities of Whistler. After painting in Giverny with Guy Rose and other impressionists, by 1910 his palette had begun to brighten considerably.